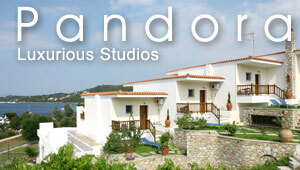 The airport of Skiathos "Alexandros Papadiamantis" is located 2 km from Town, on the north eastern side of the island. It receives flights from Athens and Thessaloniki and the flight time from both these cities of Greece is about 1 hour. In summer, this airport also receives charter flights from abroad. From the airport of Skiathos island, there are taxis to transfer passengers to their destination around Skiathos island. Also many hotels provide transport to their guests from/to the airport.